Fast meets faster – Volkswagen takes on the fastest special stages of the FIA World Rally Championship (WRC) in Poland. At average speeds of just under 140 km/h, it’s not just pure engine power that is required on the gravel, the drivers also need a lot of skill and determination. With Sébastien Ogier/Julien Ingrassia (F/F), Andreas Mikkelsen/Ola Fløene (N/N) and Jari-Matti Latvala/Miikka Anttila (FIN/FIN), Volkswagen sends the drivers currently placed first, third and fourth in the championship standings into the race – all three will line up in an identical second generation Polo R WRC. 19 special stages covering a total of 313.53 timed kilometres are scheduled to be held in the north of the country – almost 75 per cent of these are new rally terrain. In 2014, the ultra fast special stage “Wieliczki” at 136.88 kilometres per hour was the fastest stage in the history of the 318 hp World Rally Cars from Wolfsburg. This stage has been changed slightly for 2015. Of the 313.53 kilometres of special stages in total, 234.69 are terra incognita for the top drivers in the World Rally Championship. After the Rally Poland returned to the WRC calendar for the first time since 2009 last year, making it new ground a year ago, it represents another challenge in 2015. Around three quarters of the track are entirely new, and on top of that, the world’s drifting elite need to create new pace notes for 88.31 per cent of the total distance this year – large sections of the familiar routes will now be driven in the reverse direction. When empty paper needs to be converted into an accurate “prayer book” and drivers and co-drivers alike start from scratch, that’s when Andreas Mikkelsen strikes. He delighted the fans in Poland in 2014 with a thrilling team duel with defending champion Sébastien Ogier. Mikkelsen is the hunter once again in 2015, with Ogier as defending champion and leader of the standings as the hunted. And then there is Jari-Matti Latvala, who still has a score to settle with the Rally Poland after two damaged tyres and suspension damage in 2014. 12.89 kilometres in 5:39.0 minutes – Andreas Mikkelsen and Ola Fløene completed the fastest ever special stage contested in the Polo R WRC in 2014. An average of 136.88 kilometres an hour meant more speed than on any other special stage since the 2013 Rally Monte Carlo. “Wieliczki” is on the schedule again for 2015, although it is slightly different from last year. The first 6.98 kilometres are identical to the 2014 edition, but from that point on it heads along a different gravel track until – at a similar speed – it ends at kilometre 12.87. Another partially familiar highlight from last year is the stage “Goldap”. A 6.67-kilometre core element of this special stage studded with spectacular jumps and crests, as well as endlessly drawn out turns will be driven in the opposite direction in 2015. However, a good old friend is the spectator stage “Mikołajki Arena” that has been driven three times, and despite covering just 2.5 kilometres, has always been good for a few dramas in the past and hasn’t been changed since 2009. The Volkswagen drivers are in a good position as they take on the second half of the WRC season. Ogier/Ingrassia already have a lead of 66 points over second-placed Mads Østberg/Jonas Andersson (N/S, Citroën) going into rallies seven to 13. Mikkelsen/Fløene are a further three points behind in third place in the overall standings, Latvala/Anttila trail their Volkswagen team-mates by eight points in fourth place. Volkswagen have also built up a comfortable lead in the manufacturers’ championship: Ogier/Latvala’s team are 64 points ahead of Citroën. 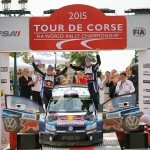 Ahead of the “speed weeks”, Volkswagen will prepare intensely for the changed rhythm in the WRC. With Poland and Finland, July sees the two fastest rallies on the WRC calendar. 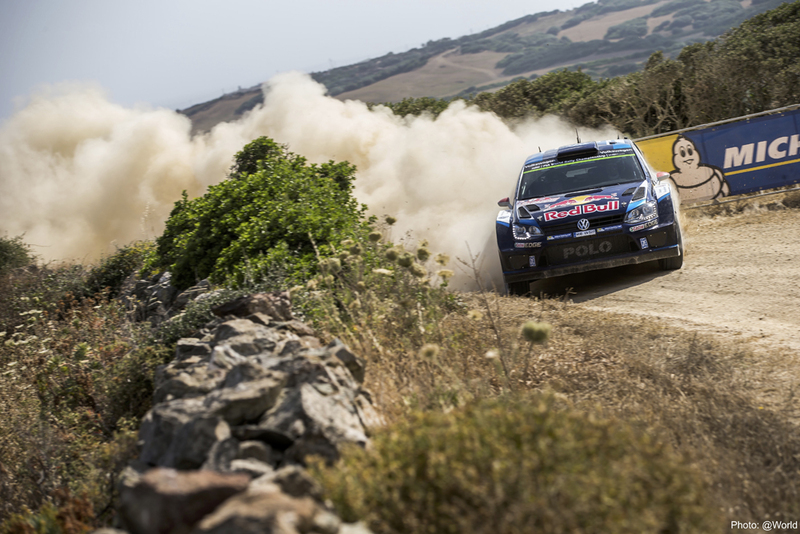 Almost 30 km/h faster: the average speed rises from around 90 to 120 km/h – compared with the recent Rally Italy on Sardinia, which with winding, narrow tracks was the slowest rally on the calendar to date since the Rally Argentina. Due to the fundamentally different nature, all three Volkswagen duos will each spend a day testing the Polo R WRC in the host country ahead of the Rally Poland from Friday to Sunday. … the Rally Poland is the second oldest rally still to be held, after the Rally Monte Carlo? The “Monte” was held for the first time in 1911, the Rally Poland in 1929. … the Volkswagen drivers all drove for different teams at their first WRC appearance in Poland in 2009? Sébastien Ogier (then Citroën) was on track to finish on the podium when he retired early due to technical problems, Jari-Matti Latvala (then Ford) also retired after an accident with the end in sight. Andreas Mikkelsen (then Škoda) also had to abandon the race early. … the Volkswagen drivers have much fonder memories of the 2014 edition? Sébastien Ogier won after a thrilling duel with team-mate Andreas Mikkelsen; after suffering suspension damage, Jari-Matti Latvala started his pursuit, which saw him finish in fifth place. … after the Rally Poland’s trip to Lithuania last year, the rally will not be crossing any borders this time around? This makes the Rally Sweden the only rally on the 2015 calendar to be held partially outside its borders – with special stages in Norway. … the Volkswagen group brand Škoda won the Rally Poland in 2012? Back then, Esapekka Lappi/Janne Ferm (FIN/FIN) were victorious in the Fabia S2000. Škoda returns to the Rally Poland in 2015 – in the WRC 2 category. Starting again: Esapekka Lappi and Pontus Tidemand. Both drivers are managed by the same company as Andreas Mikkelsen. … a German won the first time that a WRC rally was held in Poland in 1973? Achim Warmbold was victorious in a Fiat at that time. His co-driver was Jean Todt (F), the current president of the International Automobile Federation, the FIA. … the Rally Poland has only been held around the Masurian Lake District since 2005? 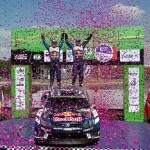 … the Rally Poland has been part of the WRC season three times to date? In 1973, 2009 and 2014. The fastest ever special stage in the Polo R WRC calls for full speed aplenty. At the 2014 Rally Poland, Andreas Mikkelsen put his foot down accordingly on the ninth stage “Wieliczki”: the Norwegian was going at full speed for 69.63 per cent of the distance – equal to 8.98 of the total 12.89 kilometres of the special stage.